Spending a third of our lifetime sleeping demands a world-class pillow to help you maintain an active, healthy lifestyle. 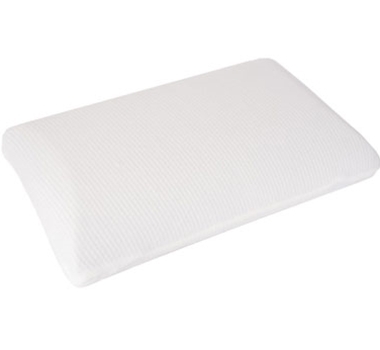 Carefully perforated bamboo charcoal memory foam provides a fresh, breathable benefit that improves airflow between you and the pillow, keeping you 3 degrees cooler than other fabrics and optimizing the pillow’s sleep temperature. Our bamboo charcoal naturally eradicates unwanted odors by dehumidifying the air and wicking away moisture from the pillow fibers and fabrics. Medium firmness will help retain its shape and adapt to your head size, relieving pressure to ensure a restful night’s sleep. Air-Flow Perforation - Improves airflow, optimizes sleep temperature.